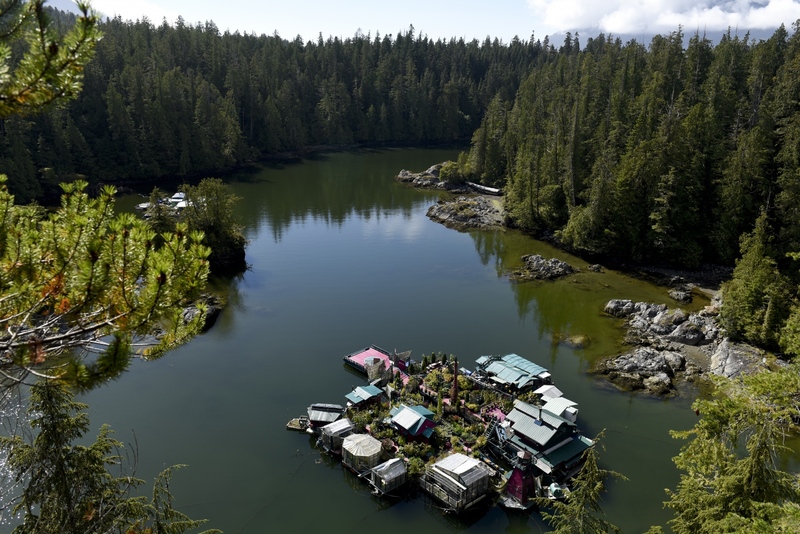 Wayne Adams and Catherine King's floating home is seen in Freedom Cove in Clayoquot Sound, B.C. 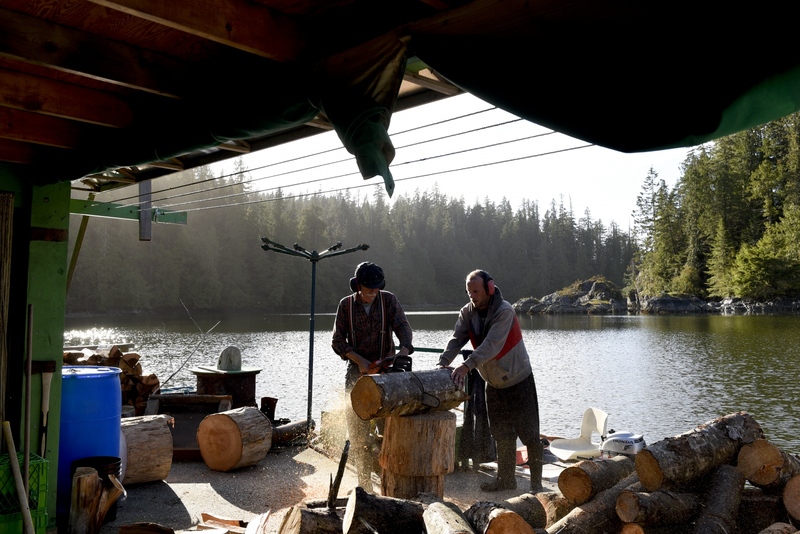 Adams and King began building their home, which is only accessible by a 30-minute boat ride from Tofino, in 1991. The home, complete with a boathouse, dance floor, gardens and a lighthouse, has expanded to 1000 square feet. Catherine King performs dance exercises after working in the garden of her float home. A former dancer and actress, King performs body movement exercises at the end of each day to destress. Wayne Adams watches television with his dogs Joy and Huckleberry. The floating home, fully equipped with electricity from solar panels and a generator, has satellite internet and television. 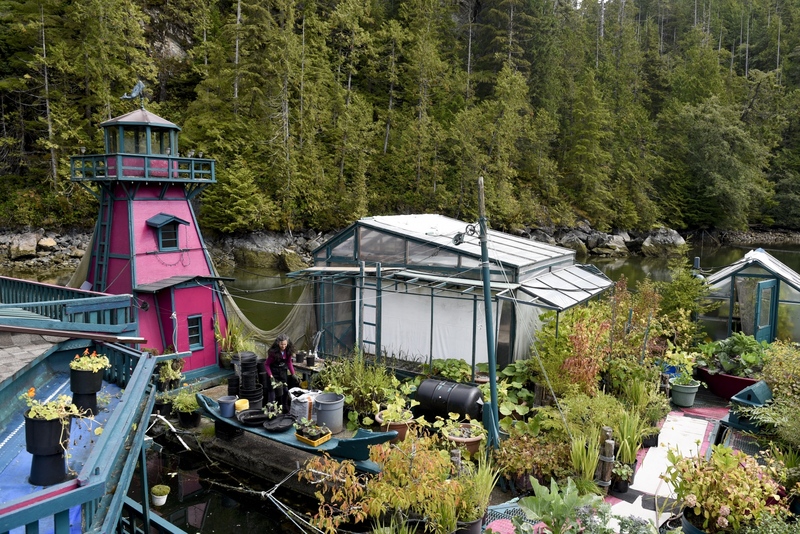 Adams, who is 68, constantly works to maintain the floating home. "It's steady work," Adams said. "These days I have to take breaks." Catherine King works on her garden. King manages a garden with four greenhouses and countless containers of fresh produce for food. "The decision to come out was because we love nature so much, and are inspired by it in our work," King said. 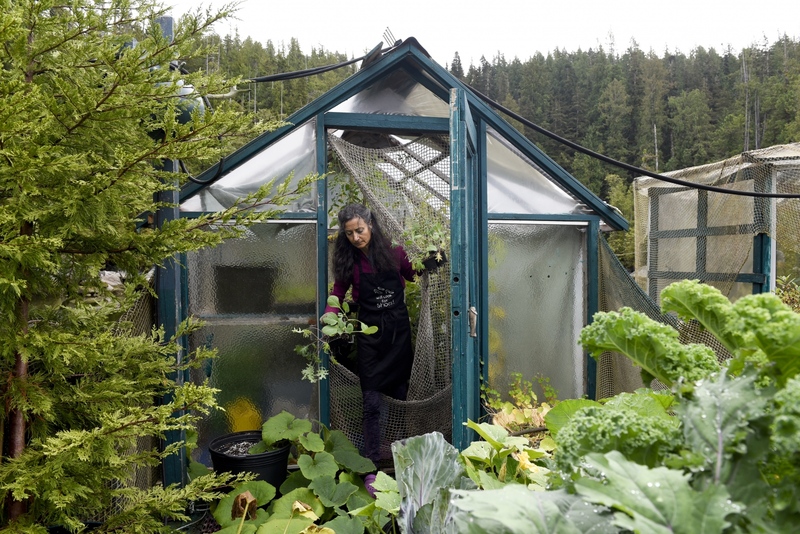 "I wanted to grow my own food so that I knew where it came from." Wayne Adams works on a carving. Adams is known as a wildlife artist. "Being immersed in nature shows in the work," Adams said. "Being inspired by the magic of nature was a big part of being here." 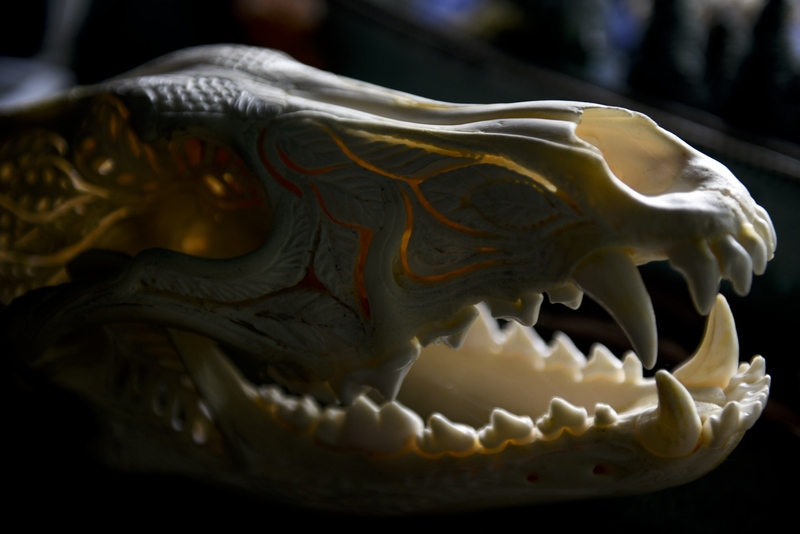 A wolf skull carving, a piece made by Wayne Adams, is seen next to his workstation. Adams, known as a wildlife artist, specializes in carving. "Being immersed in nature shows in the work," Adams said. "Being inspired by the magic of nature was a big part of being here." 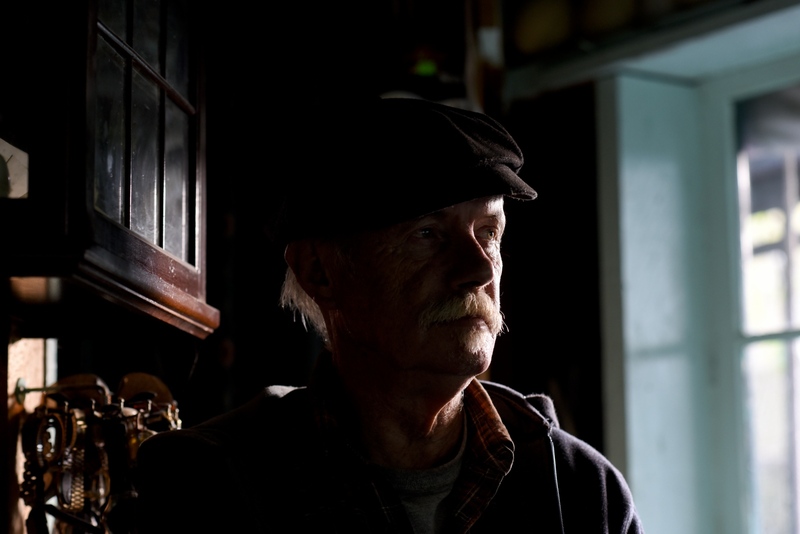 Wayne Adams sits in his carving workshop. Adams, known as a wildlife artist, specializes in carving. "Being immersed in nature shows in the work," Adams said. "Being inspired by the magic of nature was a big part of being here." 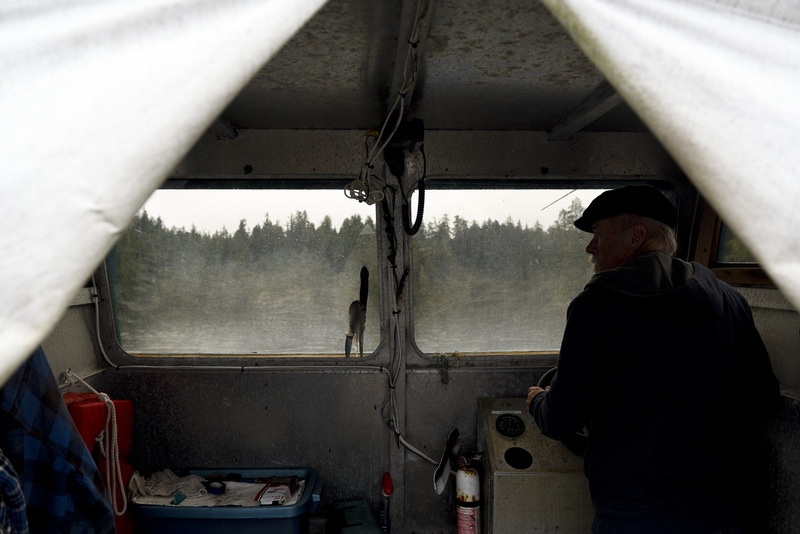 Wayne Adams drives his boat, named "Fireweed." Adams has to fish everyday for food as the floating home has no refrigerator or freezer. "We don't have to worry about keeping our food fresh," Adams said. "Because we eat fresh." 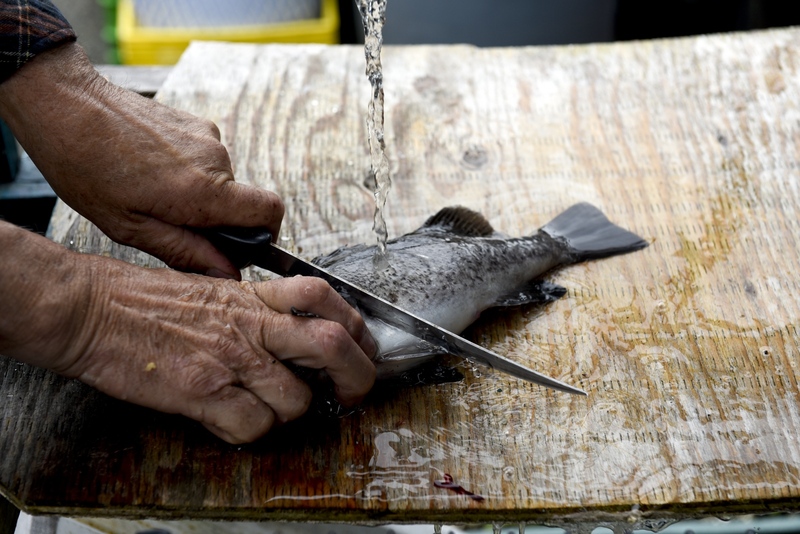 Wayne Adams cleans a fish in preparation for dinner. Adams has to fish everyday for food as the floating home has no refrigerator or freezer. "We don't have to worry about keeping our food fresh," Adams said. "Because we eat fresh." Wayne Adams and his son Shane cut wood together at Shane's home. 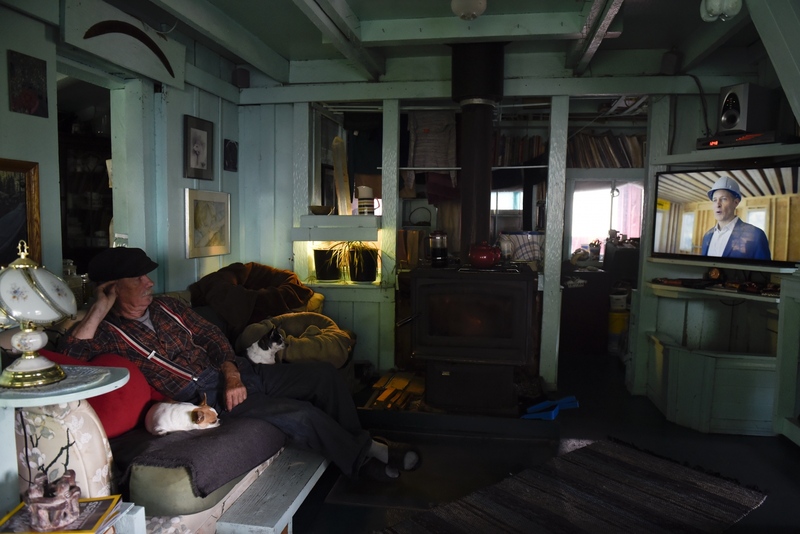 Shane has lived in the cove in his own floating home for 11 years. A former chef, Shane moved out after burning out from the industry. The family shares resources, including firewood which is stored at Shane's home. "I tell guests that my house is industrial way and my mom and dad's is the botanical garden," Shane said. 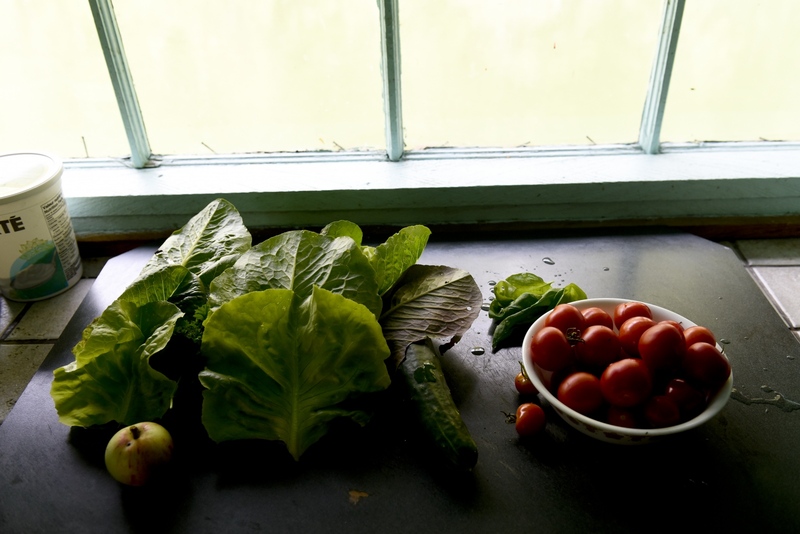 Vegetables and fruit, all grown in Catherine King's garden, in the kitchen. 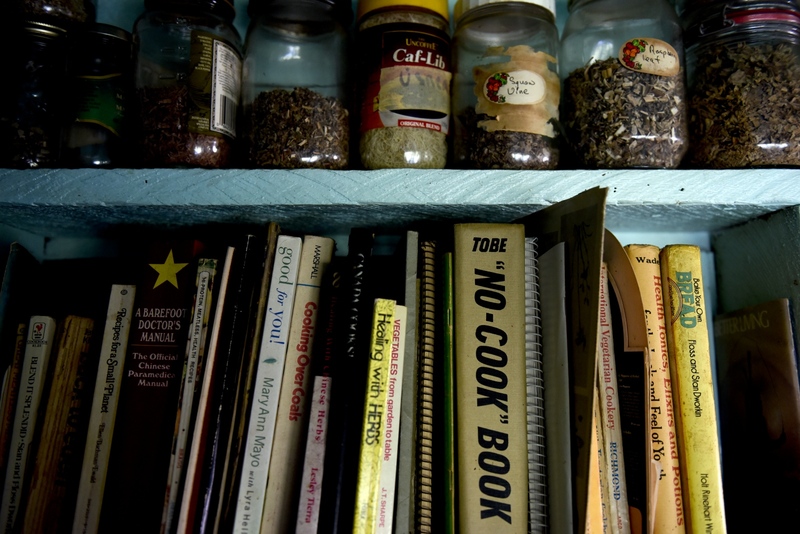 Spices and cookbooks are seen in the kitchen. 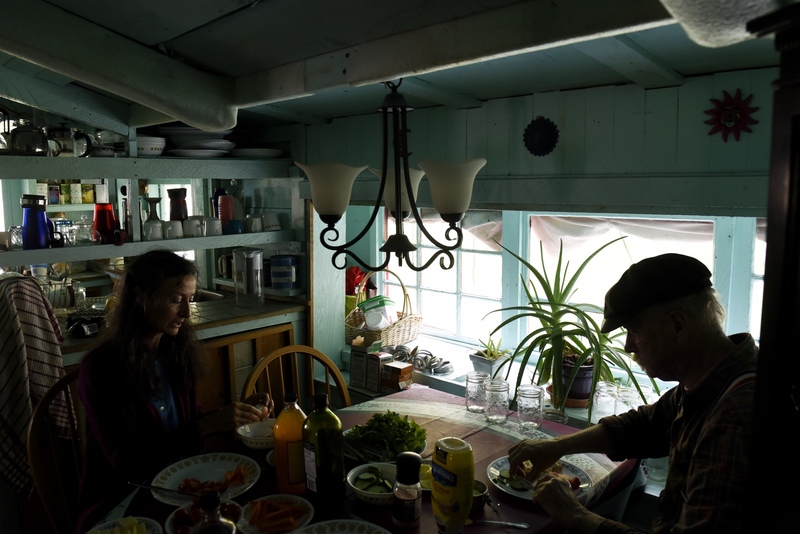 Catherine King and Wayne Adams sit for lunch. 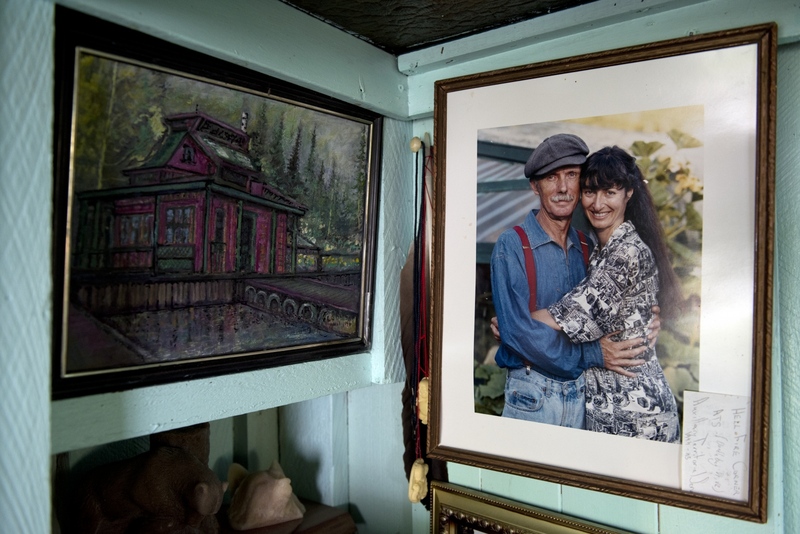 A portrait of Wayne Adams and Catherine King is seen next to a painting of their floating home in the home's living room. Adams and King met on Lasqueti Island, B.C., in 1987, and have been together since. Catherine King and Wayne Adams in their garden. The couple built and moved out to Freedom Cove in 1991. Adams and King insist their decision to move out into the wilderness did not come from a desire to isolate themselves. "Pure economics," Adams said. "As artists, we couldn't afford Tofino, Victoria or anywhere." The couple describes their home as an art installation, open for the public to visit. "It's an art piece meant to be walked through," King said. "We like to share it because we want to encourage people to follow their own dream, whatever that is." 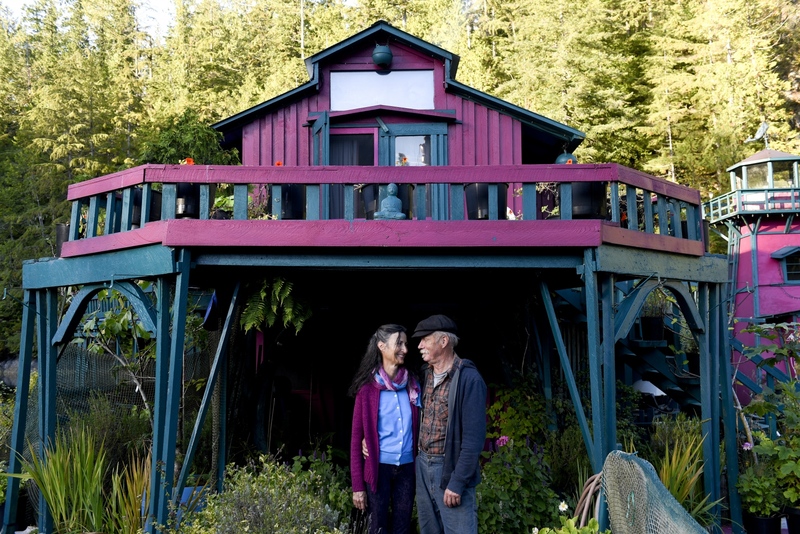 Pushed out of the housing market, artists Wayne Adams and Catherine King started building their own floating home in Clayoquot Sound, B.C. 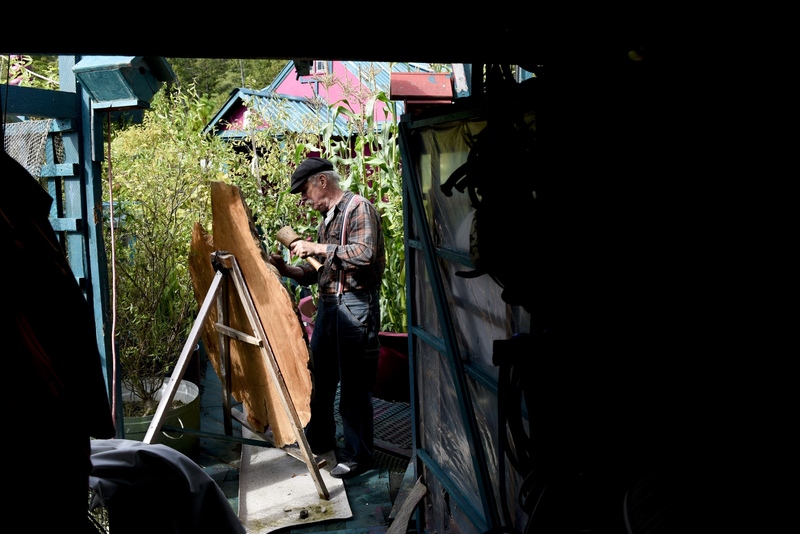 They have lived there since 1991, surviving on their own while working on their art.